MOSCOW, RUSSIA. SEPTEMBER 8, 2015. 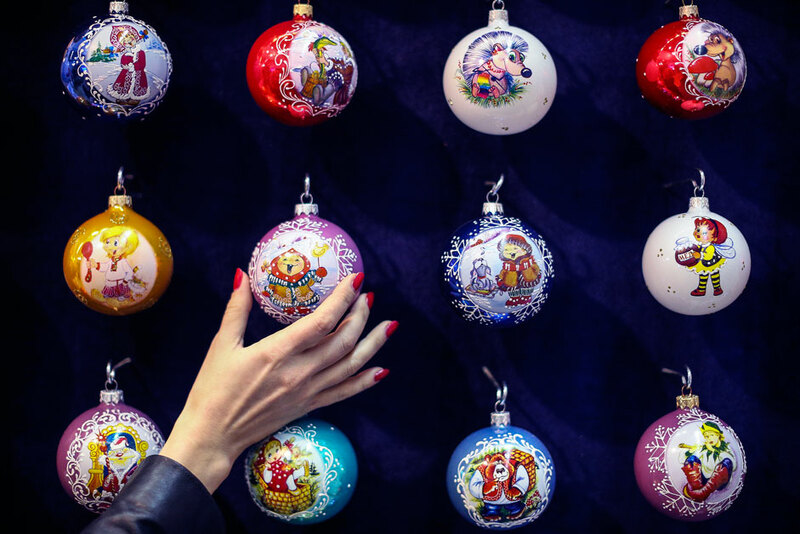 Christmas baubles on display at the 2015 Christmas Time/100 days before the New Year exhibition at Moscow's Central House of Artists.